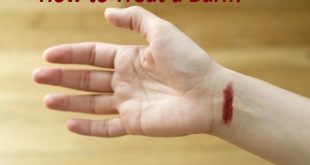 Home / Home Remedies / How to Remove a Splinter All By Yourself? In this article, we will discuss ways to remove a splinter. A splinter can give us a lot of pain and irritation when it enters the thin layer of our skin. And sometimes it is nearly impossible to know that we have a splinter in our skin until it starts giving us pain. Though a splinter is nothing but a sharp piece of wood or any other substance entering our skin, if nothing is one to remove a splinter, an infection can start setting in which can be really harmful. One should also understand here that taking the splinter our forcefully of the skin is not a good idea so that can be more damaging to the skin and spread the infection even more. 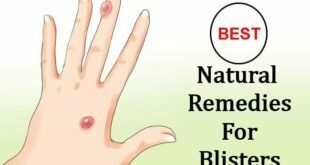 What works best, here are some natural remedies which help remove a splinter effectively and give relief from all the related symptoms. 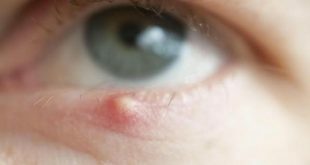 However, if itвЂ™s been too long since the splinter has penetrated into your skin and you see a deep infection happening there, then itвЂ™s better to see a doctor immediately who can help soothe the condition. While applying the below ways to remove a splinter, practice caution and have patience, this is most important. A splinter is nothing but a small wound in the body caused by thorns, wood shavings and other debris piercing the skin and penetrating to the lower layers. These splinters can be really harmful and you need to take them out at the earliest to provide maximum discomfort. 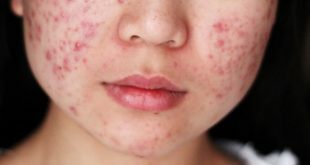 Care should also be taken never to press them much in the skin and this could damage the skin tissues and provide a lot of pain. If a splinter is made of glass, be very careful as this could break into small pieces causing more harm to the skin. 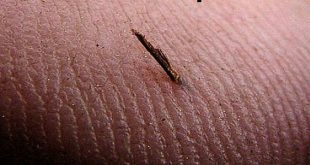 Non-biological Splinters: Small pieces of glass, metal, aluminium, plastic, pencil graphite, etc. Banana peel is excellent to remove a splinter from your skin. It is loaded with enzymes which will make the splinter move up to the surface of the skin, making it easier for you to take it out easily with the help of a tweezer. For this just take a banana peel and cut a small piece from it. Now place this, with the white side facing the skin on the affected area and cover with the help of a tape. Leave this for 10-15 minutes. You will see the splinter come out on the outer surface of the skin. Now remove this with the help of a tape. You can leave the banana peel for a longer time if 10-15 minutes donвЂ™t show a good result. Do this once or twice to remove a splinter quickly. 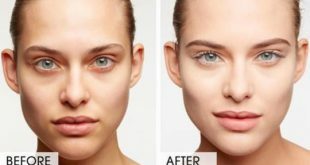 Baking Soda is one of the super foods from your kitchen which has long been used for a number of skin treatments. ItВ is not really harmful to the skin as well and is one of the most effective ways to remove a splinter. For this just take a tablespoon each of baking soda and water and make a smooth paste. Now apply this paste to the area and cover with a band-aid. Let it be for a few hours. The baking soda will cause the skin to swell up and will force the splinter to get out from the skin. After removing the band-aid, remove the paste from the skin and take the splinter out. Apply any good antiseptic over it now. Baking soda works really well for the tiny, invisible splinters that are embedded deeply into the body. Hydrogen peroxide works just like baking soda and Epsom salt to remove a splinter really easily. It makes the area swell up and helps the splinter to move up to the surface of the skin. You can easily buy hydrogen peroxide from the market. However, if you have children and pets in your house, be very safe to use hydrogen peroxide as this can be harmful to them. For this remedy just take a little hydrogen peroxide and apply this to the affected area and leave for some time. You will see that the portion has swelled up and the splinter has moved to the surface. Now get a tweezer handy and remove a splinter from the skin. Wash the affected are well with a medicated soap and pat it dry. Now take an adhesive tape and stick it to the affected are and cover the splinter well with it. Now with the help of a fingertip rub the adhesive tape and press it down to the splinter. Do this for about two minutes. Then pull off the adhesive tape in one strong motion from the surface of the skin. This will help the splinter to come out with the tape itself. It is one of the most common methods used by a lot of people to remove a splinter faster. Vinegar is one of the best methods to remove a splinter from the body. 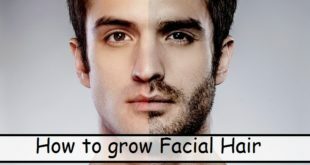 It is safe to use as well and does not provide any harm to the skin. You can moisturize your fingers after this method if you feel too dry on the skin. Get hold of white vinegar for this purpose as itвЂ™s readily available. 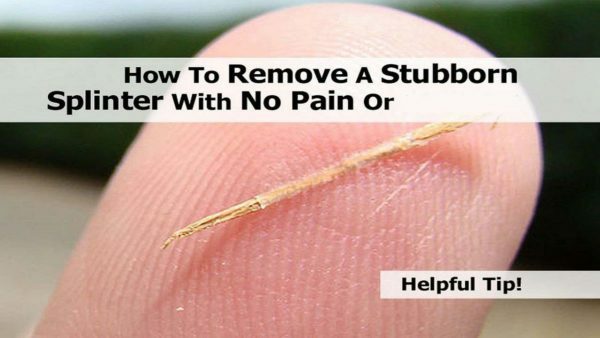 You can try this method several times a day if you feel the splinter is too stubborn to come out. For this, just take a bowl and pour some vinegar in it. Now soak your affected part in it for about 15-20 minutes. You will notice that the vinegar causes the splinter to come out on the surface of the skin. Now get hold of a tweezer and take it out. In 99% cases, it can easily be taken out with this method. Eggshell works really well in removing a splinter from the body easily. To benefit from this, just take an egg and break it. Get all its contents out and now take a small piece of the outer shell with the innermost transparent membrane attached to it. Place this shell on the splinter and now cover it with the help of a band aid. Let it sit overnight; in the morning, remove the band aid and the shell. As you do this the splinter will come out from the skin with the shell of the egg. This remedy is really safe to use, you can do this twice or thrice a day also if once a day doesnвЂ™t help to remove a splinter effectively. 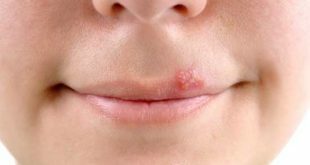 Be safe with this method as if used with force, it can also damage your skin and cause severe infection. Use rubbing alcohol to sterilize the needleвЂ™s tip first. Press the needle gently closer to the splinter and scrape it out. This can work every effectively for splinters which are not too much under the layer of the skin, but almost on the outer layer itself. For splinters in the feet which is thick skinned, using a needle is not recommended as this could damage your skin and provide you harm. Using a needle is one of the most common methods to remove a splinter really quickly, you can use an antiseptic on the affected area after using the needle. Bread and milk from your kitchen can actually work really well to remove a splinter and to provide you comfort. It also helps to prevent any kind of infection from settling in. Make sure you use this remedy for removing a splinter as soon as you have detected it in your skin. 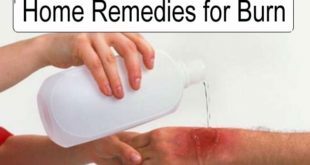 It is an age-old remedy for a splinter and a lot of people around the world use this remedy. Here dip a piece of bread in some warm milk. Secure the area with a bandage after applying a poultice. Leave it on overnight. Remove the poultice the next morning, the splinter should come out with it. In the last, wash the area well with some warm water. This is one of the most favored remedies as well for removing a splinter easily from your skin. Castor oil is a wonderful oil in itself and helps to provide a lot of comfort to the condition. 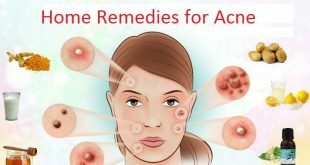 It also helps to soothe the skin and helps to reduce the inflammation and pain to a great extent besides preventing any kind of infection as well. Castor oil is cooling in nature and therefore provides a lot of relief in this condition. Here, you can simply take a little amount of castor oil and then apply it over the splinter. Massage for 2 minutes and then cover the area with a gauge and leave it overnight. When you open the gauge in the morning, the splinter will begin to come out of the skin, here you can simply make use of a plucker and take the splinter out. This is a very effective remedy to remove a splinter really fast and is a highly preferred remedy here. Onions are one of the most common things found in our kitchen and these onions are almost magical in removing a splinter out from the skin. 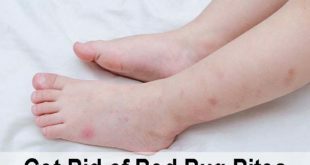 TheyВ are used by a lot of people to remove a splinter quickly at home and these are excellent to prevent any kind of skin infection as well. Here, just take a fresh onion and cut a small piece out of it, now put this piece on the affected part and cover it with a band-aid or duct tape. Keep this overnight. In the morning when you remove the band-aid you will notice the splinter poking out of the skin. 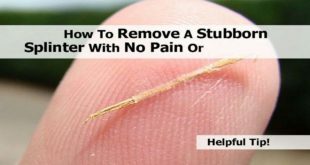 This will be really easy to remove now by making use of a tweezer and will help you to get rid of the splinter really easily. Using a potato to remove a splinter naturally from the skin is really easy. Potato is really safe to sue as well and is one of the most common foods easily available in everybodyвЂ™s kitchen. 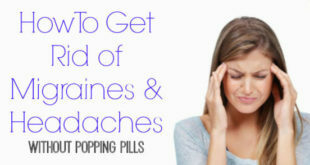 You can do this remedy twice or thrice a day if doing once doesnвЂ™t prove to be too successful. For this just take a raw potato and cut a slice of it. Now place this slice over the splinter and keep pressing it towards the skin. The potato slice will cause the splinter to pierce through it and at this stage it can easily be taken out with the help of a tweezer. If this doesnвЂ™t work, try again using a thin slice of a potato. This is one of the most common methods used by a majority of people to remove a splinter really fast. Epsom salt is really easy to use and is one of the most effective remedies for removing a splinter really fast. For this just take a band aid and sprinkle a little Epsom salt over it. Now, cover the affected area with the help of a band aid and leave for some time. Then remove the band aid, you will see that the skin has swelled up and the splinter has moved close to the surface of the skin. Get hold of a tweezer here and take the splinter out. Do this once or twice daily. Hot water works well to remove a splinter completely. Here just heat up some water so that it is really hot. Now pour the water into a bottle or a jar which is wide-mouthed. Press the area with the splinter on top of this bottle so that the splinter is in close contact with the steam of the water. Press it really close to the surface. A pull is exerted on the flesh due to the vacuum which is created. At the same time, the steam from the hot water opens up the skinвЂ™s pores. It is this that works together to make the splinter come to the outer surface in no time. You can now take a tweezer and take the splinter out of the skin. 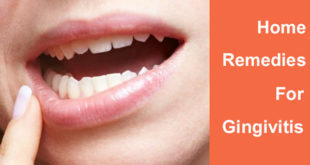 Keep the area clean until it is completely healed. Once the splinter is removed, make sure that you clean the affected area to prevent an infection. DonвЂ™t squeeze a splinter in an attempt to push it to the surface as that could result in breakage, which will make it even worse. 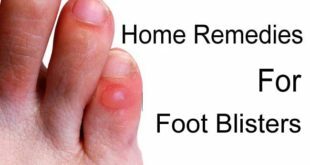 Previous How to Treat a Foot Blister? Next How to Get Rid of Hickeys Fast?